But Michael J. Stracyznksi has been loyal to the True Word of the Sacred Text and his filling in of various plot gaps seems interesting and logical. Here’s one plot gap he fills in. We learn a whole lot more about the vice queen known as “The Twilight Lady”. We must snip out two pictures from the sacred text to learn more. And she makes an appearance in his dream sequence. 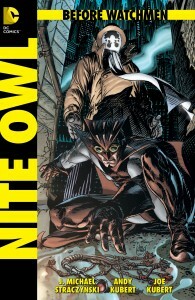 I remember debating one of Micah Wright’s friends who thought the art on this book sucked. You my friend are a fool. That is one very healthy woman. The other plot point he fills in is where did Rorshach get that sign? The sign that says “The End is Nigh”? Well he got it from a fundamentalist church. And this is consistent with the kind of character that Rorschach is. There are a lot of right wingers who are deeply religious church goers. The whole law and order thing that he’s into fits into a simplistic black/white, right/wrong pattern. It makes sense that he would be a church goer. Or at least he would be one before his true birth during the aftermath of that kidnapping case, where the Comedian tells Nite Owl that his partner has gone nuts in Watchmen issue 2. I’m assuming that because he watches the murderer get burned alive he becomes someone closer to the “Mr. A” character he was based on, who only sees darkness in the abyss and certainly not some golden fantasy heaven. Some nice work here that doesn’t detract from the legacy of the Watchmen. 4.0 out of 5 stars. Related: Found this on the Internets. 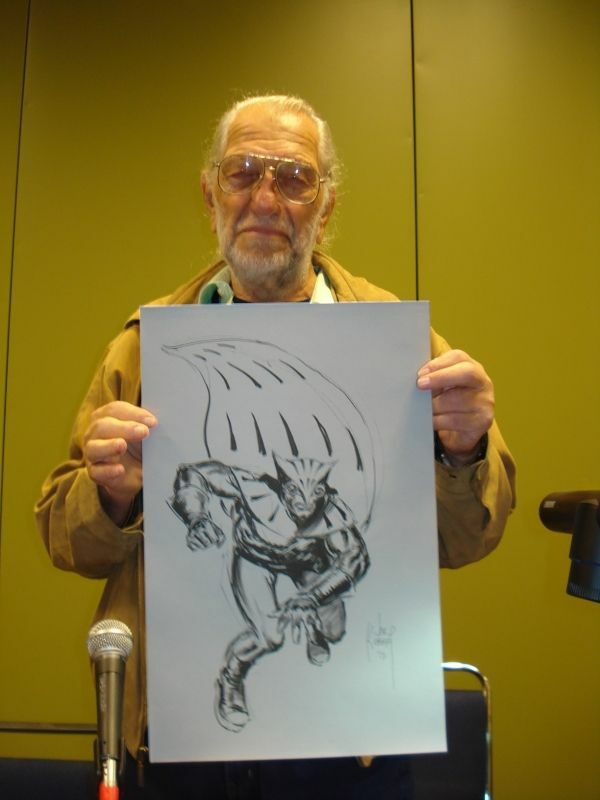 Nice memory of Joe Kubert. Taken months before he died.